No matter where or what needs to be connected, there is hardly any connection problem which cannot be solved. 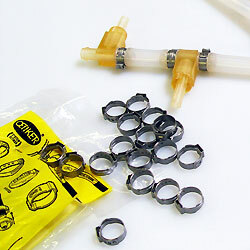 OETIKER Clamps and Rings can connect practically anything from hoses, pipes, cables, ropes and other objects, in all different materials and under the toughest conditions, securely and permanently – disconnection only as required. OETIKER solutions for connections in a wide variety of applications and industries prove themselves in use day in and day out.